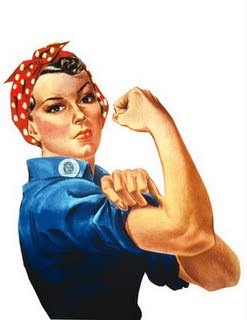 I am no longer accepting people to participate in the Rosie's Riveters series. The participants I currently have on the list will all have their chance to share their favorite or most hated woman, and then we shall start the new With Reverent Hands series on this blog. More details on With Reverent Hands can be found in my Sunday Salon post here. This week's post is by Simone who blogs at The Romantic Query Letter. Simone is like me in her love of the Georgian and Regency eras- not only does she read books set in late 18th century and early 19th century England, but she likes to delve into the personalities and politics and details of the period. Her blog always features gorgeous paintings and a lot of great information about the people who made the Regency what it was. She is very knowledgeable and very nice. Here she is with her Riveter! 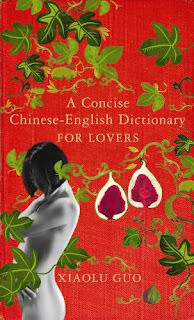 Zhuang Xiao Qiao or simply 'Z' for those of us with but a meagre grasp on Chinese the languages. I love her. She is wise, strong and in love with someone destined to break her heart so you can't help but feel for her. She is frank, childlike and without airs or pretence. She is also a stranger in a strange land but more than that she is a woman mad in love with someone who is incapable of the growth love requires. This of course affects her confidence, which leaves her susceptible to things that isolates her further. There are times in the novel when she is no more than a open wound and your heart breaks for her but then it is in these moments she shows us her true resilience. Daryl Hannah and I'll tell you why. She is for the most part well intended but her inherent nature often confound those of us rooting for her. She is also exotic almost to the point of otherworldliness and yet vulnerable. She loves without abandon and though she is left heartbroken you are assured by the end of the novel that she was all the better for her experience. Her ability to be completely honest with herself. She never makes excuse for her choices or ever try to justify her errors. I absolute do. Xiaolu Guo weaves a lovely delicate tale that examines with earnest subtlety the alienation of love imperfect in a foreign land. Love makes me feel fragile, because I am not beautiful, I never being told I am beautiful. That last quote is sad. I know I'm not beautiful, but my husband tells me I am - not very often and usually in a very gruff way, but he means it. My every thanks to you Aarti for this lovely honour and the beautiful words. I went to Hinsdale Central High School in Chicago for three year and still have family living there so maybe next time I come for a visit we can have coffee. Have a lovely day and again my thank. I have been meaning to read this book for ages. Sounds like I need to make more of an effort to find it! So you were one of the Trojans then were you. You guys use to kick our butts at football, poor Red Devils but that was well in the dark ages. At the dawn of internet and the time of the shoe size cell-phone when you were but a baby. I love that we have this in common, so nice. As always Simone, you enlighten and educate with your post. Aarti, love your blog. I like the sound of this woman. It sounds like she is completely without guile and hidden motivations, which intrigues me very much. I am going to try and search out this book, it looks like it might make a fascinating read for me. I haven't come across a character of this description in a long time. Great post Simone!